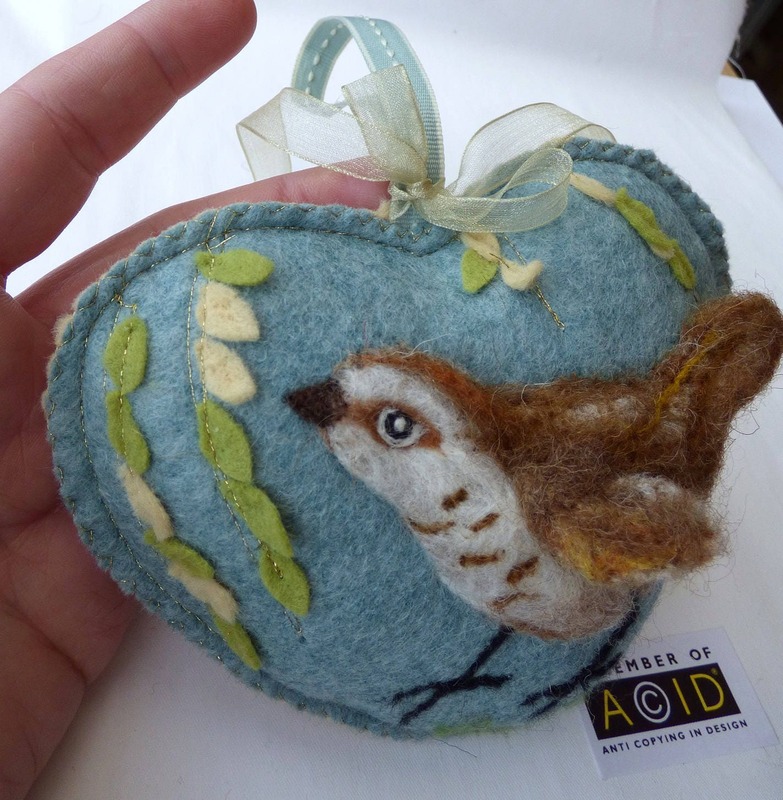 This needle felted wren sheltering under the gently waving willow branches. This heart is made with delicate tones to fit most décor. The symbolism of the Willow branches can be for sadness and makes this a touching gift for anyone who has suffered loss. 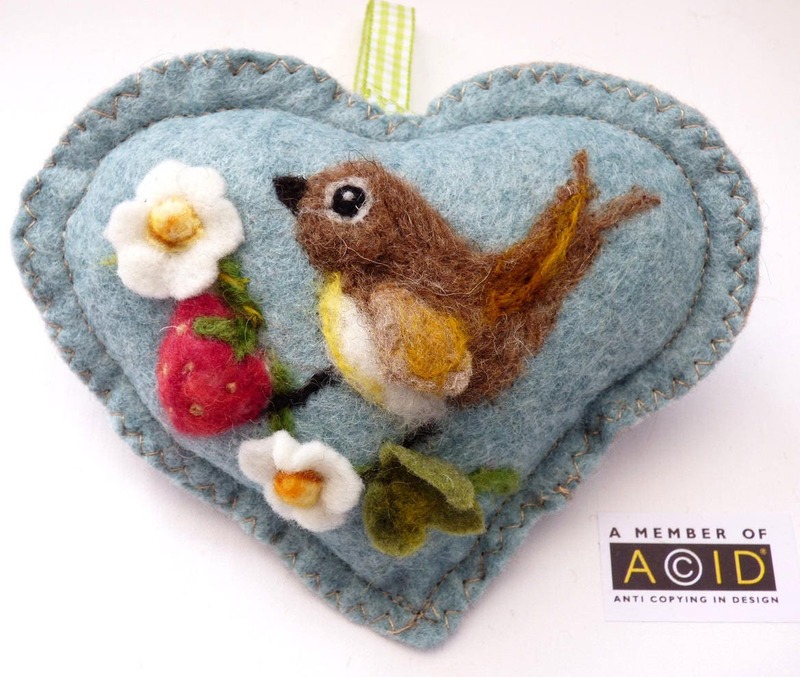 This Hand needle felted garden design is made from 100% pure wool in my studio here in Somerset. The bird is in full relief. The wing and chest being 3D. I use a mixture of dyed merino and natural wools from rare breed sheep that graze up in the Shetland isles of Scotland and the moors down in Devon and Cornwall. This is because of their extra texture and the natural shades that evolve as they brave the different weathers. 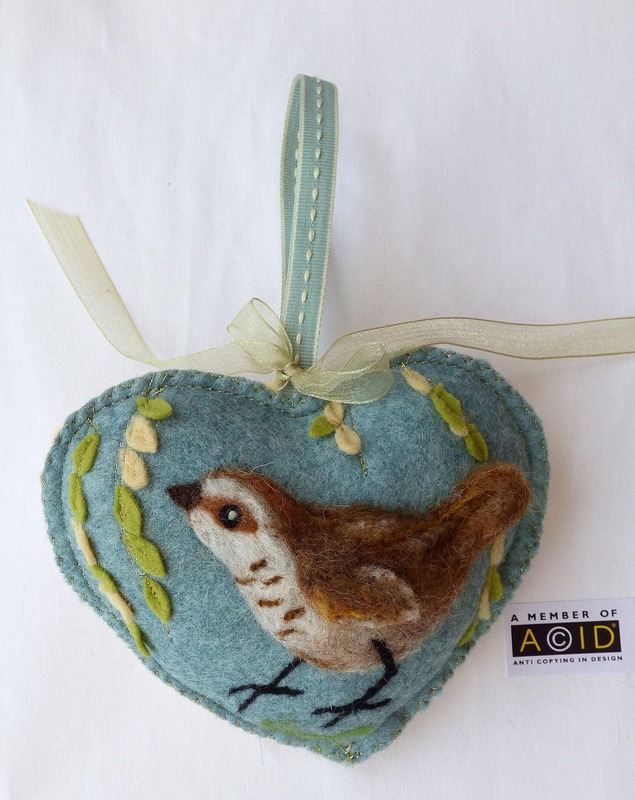 I am happy to embroider a name, date, short message of choice on the back of the heart to make it a very special gift. There can also be a pocket on the back of the heat with a small notlet for messages and good wishes. This heart can be scented with either lavender, winter spices or left scentless, just message me with your preference. This bird enjoys being dangled from any handle or peg around the house. 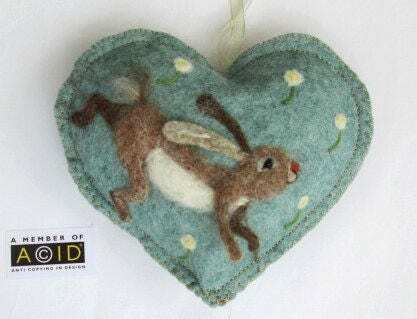 A sweet heart is an ideal gift for many occasions - Thank you, Good Luck, Happy Birthday, teacher's gift, New Home, Baby Shower, Christening especially with their name embroidered on the back. approximately 10 x 10 cm in size. 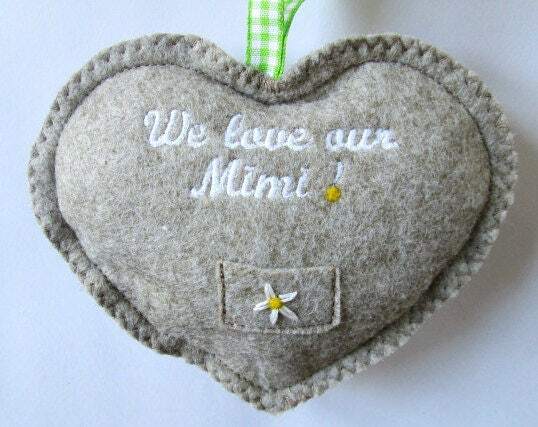 Names and dates can also be embroidered on the back of the heart. I am ready to ship3-4 days.